When referring to vinca, gardeners should be aware of this unique situation--there are two plants that share the same name. Vinca, also known as periwinkle or myrtle, is a shade-loving perennial that produces lavender, blue or white flowers while Catharanthus roseus (Vinca rosea), also known as Madagascar periwinkle, is a sun-loving perennial that produces white, pink or bi-color blooms. Vinca major is an evergreen perennial that is hardy to about 20 degrees F. Often used as a groundcover because it roots wherever it touches the ground, this invasive plant produces pinwheel-shaped flowers that may be up to 2 inches across. Vinca major is vine-like with glossy dark green leaves and grows in mounds that can reach 2 feet. Vinca major thrives in partial to full shade, though it can tolerate sun in more mild climates if given ample water. Vinca minor, which is also known as dwarf periwinkle, is just a smaller version of its major cousin, and is also hardy to about 20 degrees. This plant grows to about 6 inches and is not as invasive as Vinca major. While the foliage on this plant is also a glossy dark green, there are several cultivars with white or purple blooms. 'Alba' and 'Miss Jekyll' produce white flowers while 'Atropurpurea' produces deep purple blooms. Vinca minor thrives in partial to full shade. It must be well-watered to grow in full sun. Vinca rosea is a bushy plant that can grow to 2 feet and resembles impatiens. This plant thrives in dry or humid heat and needs only moderate water once established. Also known as Catharanthus roseus, this plant may be used an annual in colder climates and will produce blooms in the summer through the first frost. 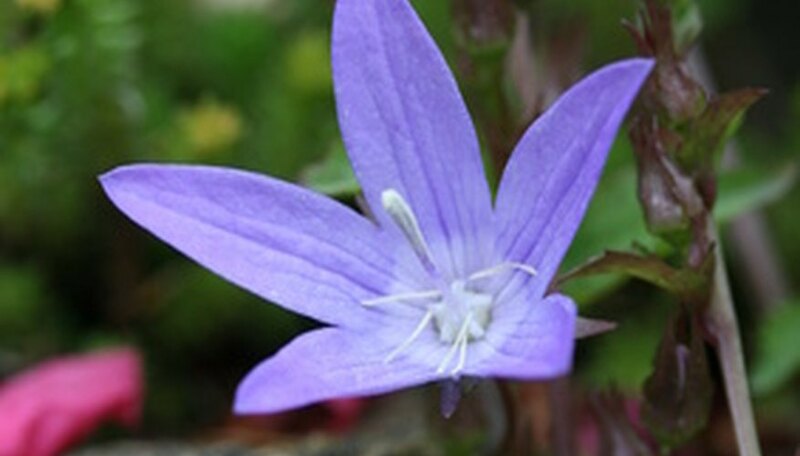 This plant has numerous cultivars, including the 'Little' series, which is a dwarf variety, the 'Tropicana' series, which is an early bloomer, and 'Carpet,', which resembles a vine. Vinca rosea should be planted in full sun to partial shade in warmer climates. Waterloo-Cedar Falls Courier: Vinca or Periwinkle?